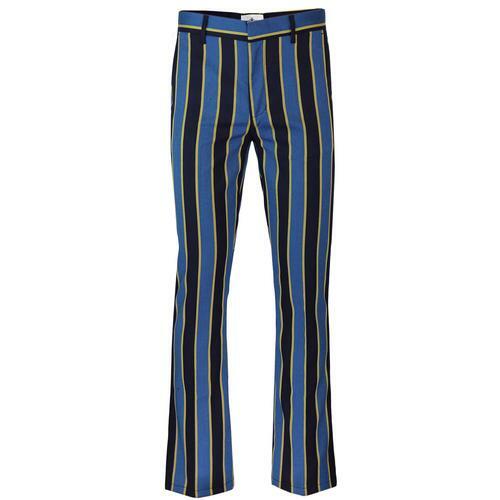 Madcap England 'Offbeat' men's 1960s mod boating blazer in blue and yellow. Inspired by 1960s mod fashions, this Tailored by Madcap England single breasted regatta stripe blazer features a slim retro notch lapel, left side breast pocket and centre vent to reverse. Two flap pockets to the sides and right side ticket pocket add to the classic mod charm. Covered buttons to the fastening and non-working cuffs add the finishing touch. The fab retro textured navy and blue stripes are flanked by contrast yellow tram lines and a subtle diagonal weave stripe runs throughout, further enhancing the vintage look of the jacket. Taking influences from 1960s boutique style from the likes of Mr Fish, Granny Takes A Trip and Dandie Fashions. 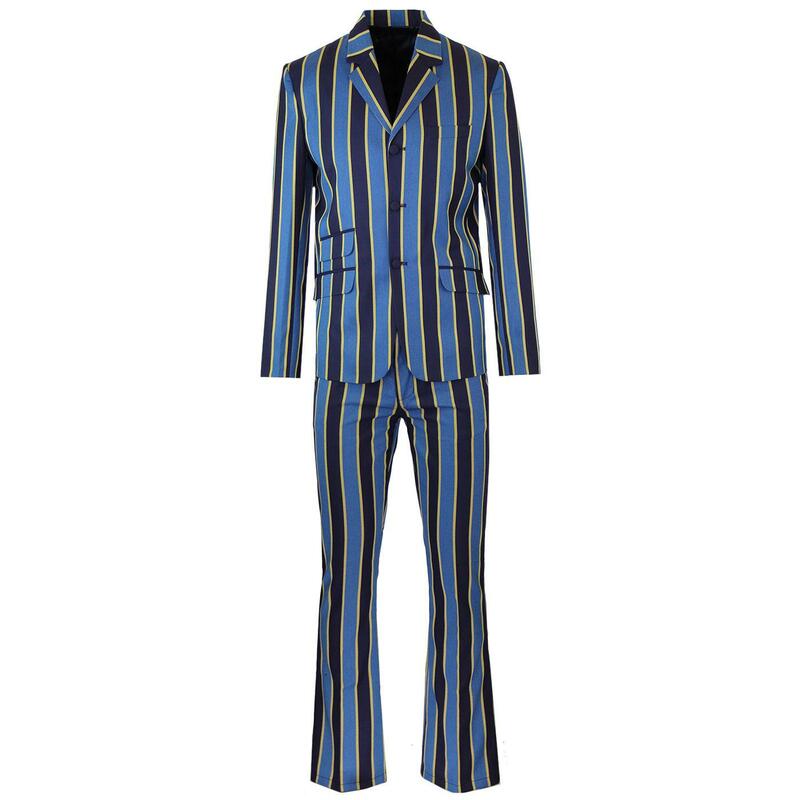 A true mod masterpiece - The 'Offbeat' men's retro regatta stripe boating blazer from Madcap England. 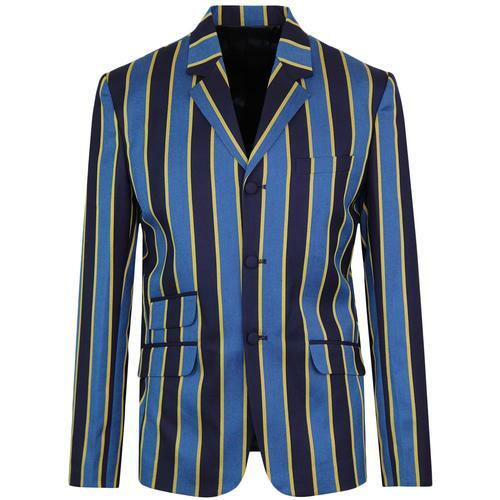 Madcap England 'Offbeat' men's 1960s mod boating blazer in blue/yellow. Textured navy and blue retro stripe details. Yellow stripe flanks the purple. 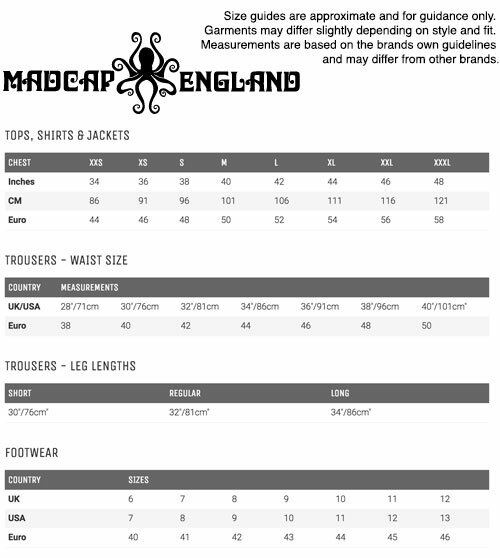 Mod covered buttons to fastening and non-working cuffs. SKU: MC447 Stripe S/B Boating Blazer.